Post-traumatic stress and its associated disorders, including Post-traumatic Stress disorder (PTSD) can develop after exposure to one or more terrifying events. It is a severe and ongoing emotional reaction to an extreme psychological trauma, such as a death or a threat to life, serious physical injury, or threat to physical and/or psychological integrity. 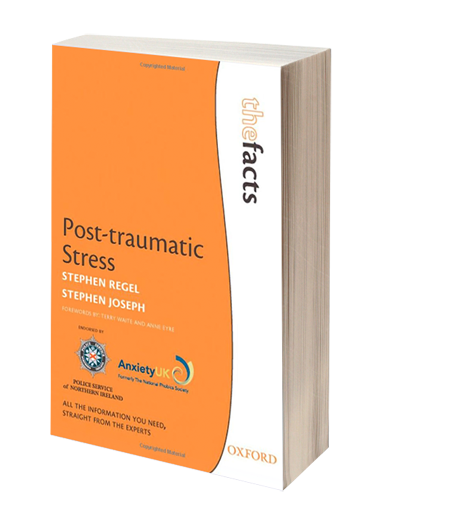 The book begins with a description of PTSD and other related problems often experienced by survivors, and a short history of developments in the field. Information on assessment, theory, research findings, and treatment procedures are provided. Further chapters reflect new theoretical thinking and directions in the field of trauma. It discusses the types of support that should be provided at an early stage for people and families affected by a sudden traumatic bereavement (e.g., homicide), and presents this information in a practical and accessible way. Though mainly intended for sufferers of post-traumatic stress, and their families and friends, it will also be of interest to the general reader. The book will also be an invaluable resource for professionals, particularly those who want to know about the psychological impact and management of trauma in a variety of contexts, such as general practitioners, clinical psychologists, psychiatric nurses and those in the voluntary sector.